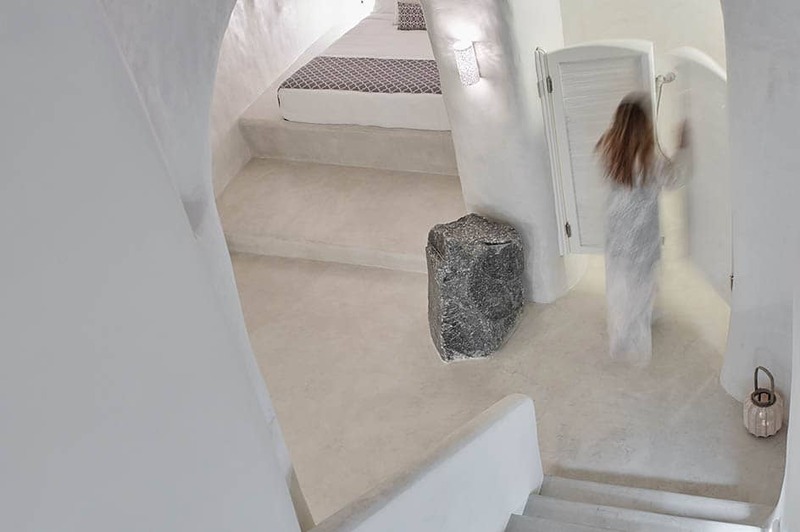 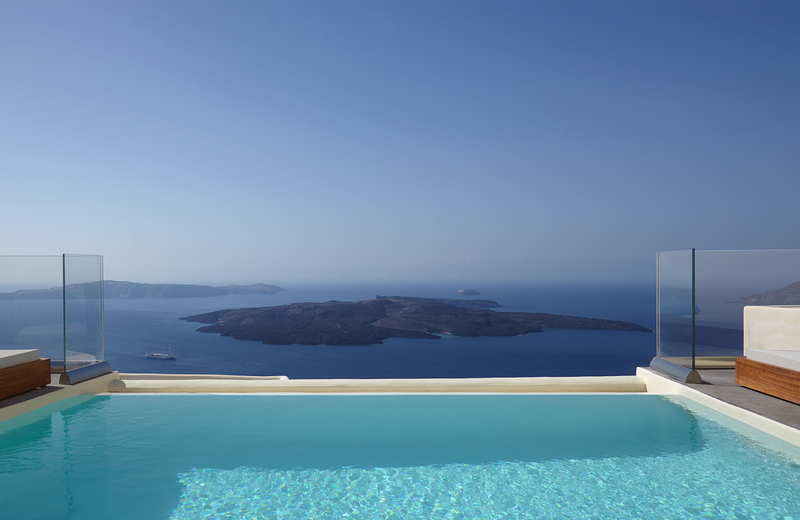 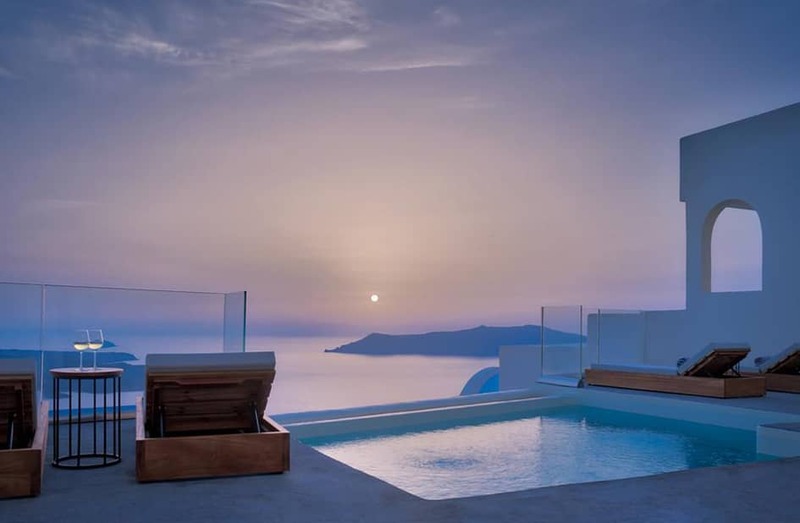 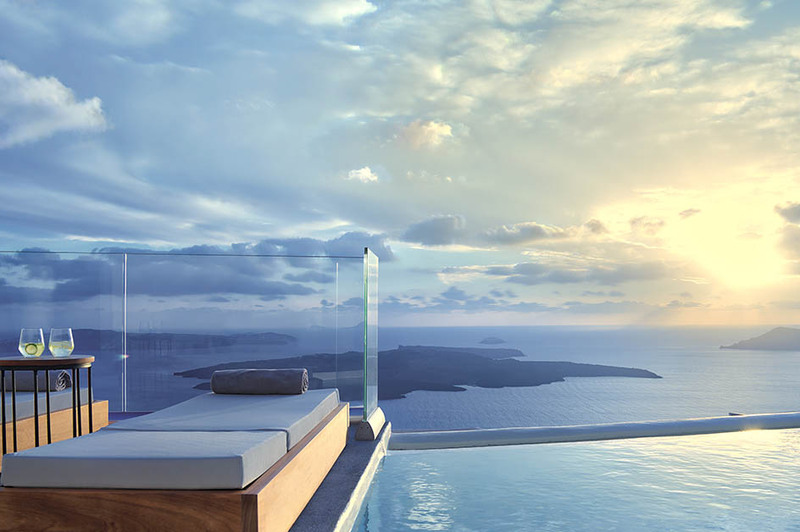 A cave style villa of distinctive style, the intimate Villa Ioli is spread across two floors, features a dramatically designed bedroom and a shared pool with breathtaking views to the infinite blue of the Aegean Sea. 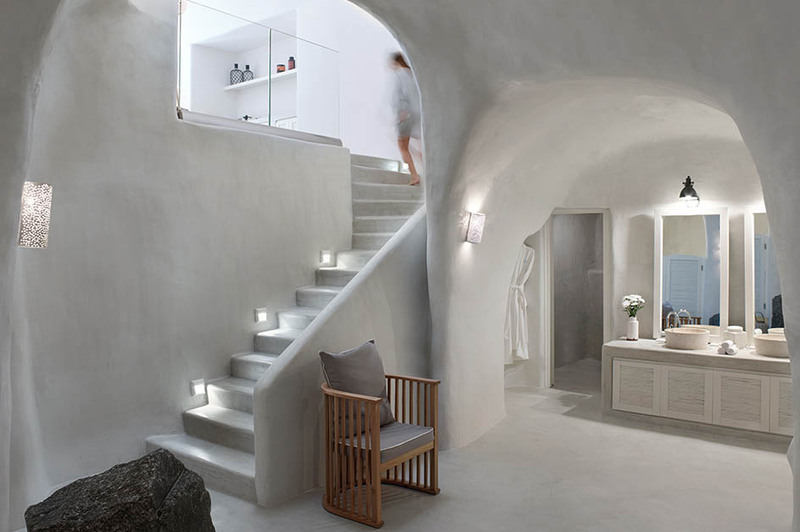 Villa Ioli is a two-floor villa. 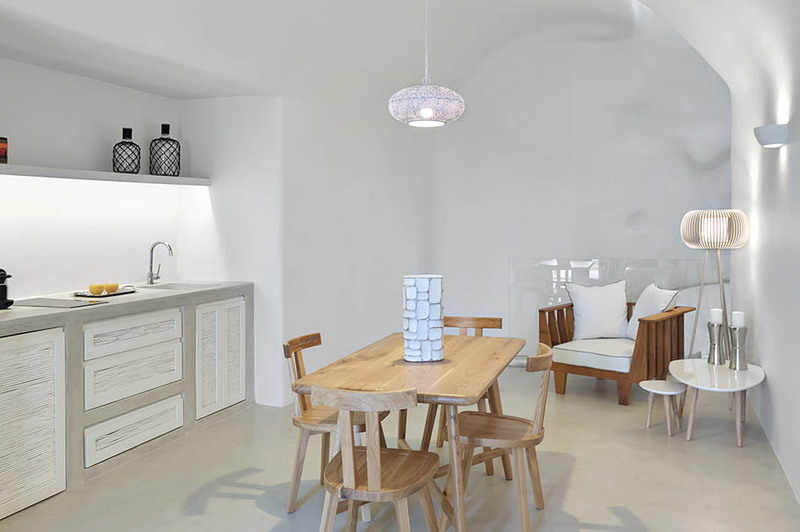 The upper floor features an airy living and dining area and a fully equipped kitchenette. 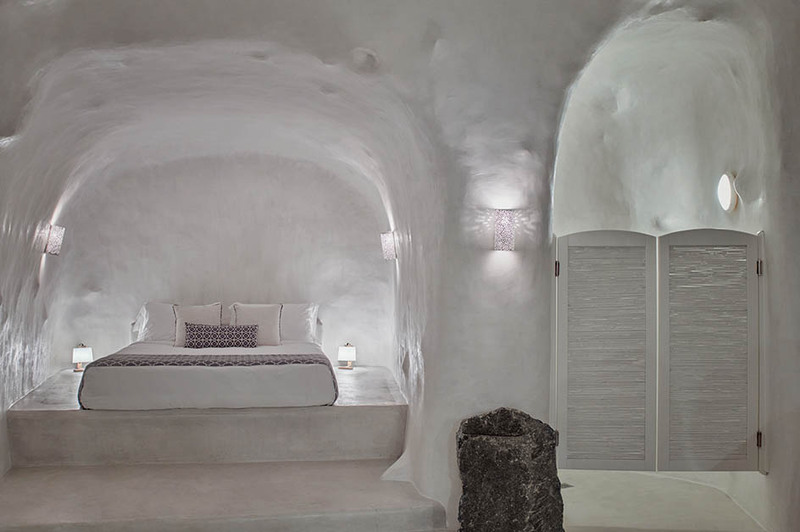 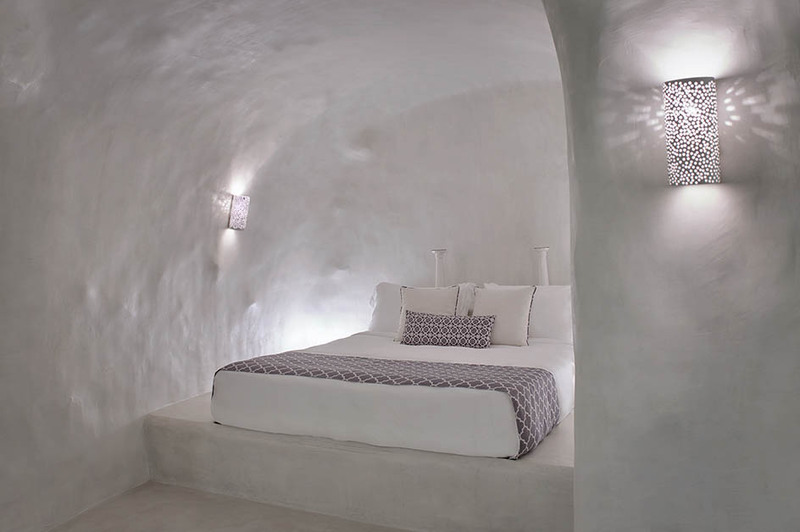 The lower floor features a dramatic cave-style bedroom with a king-size bed and a uniquely designed en-suite bathroom with a spacious shower.